It's been pretty quiet here lately! This is a bit late, but here's some news from October: Backflip Studios had just released their latest update to the popular iOS game Dragonvale! It's a super-cute game that I am now completely addicted to ;-) And I'm very proud to announce that composer Aubrey Hodges invited me to record a variety of live instruments to update the soundtrack. It was great fun to play flute, piccolo, recorder and penny whistle for this soundtrack, as well as the EWI for the English Horn. Can't thank Aubrey enough for having me be a part of the project, hope y'all enjoy the new music! Check it out, the latest remix from the great and glorious Theophany! So glad to have collaborated with him and guitarist Alejandro Pérez Heinze on this track. I was honored to provide vocals and flute for this super fun arrangement--really happy with how it turned out, and so glad I could contribute to the project! VGL is gearing up for its tour in South America! I will be performing in the Peru, Chile and Argentina shows, on one of the hardest setlists I've ever done! 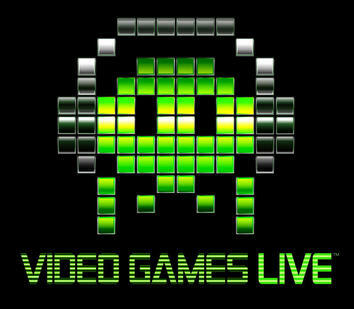 Ticket info as always at videogameslive.com. Looking forward to seeing all of my South American friends! So proud to announce my first published work! Alfred Music recently released a book of piano arrangements from the award-winning video game Journey, music composed by Austin Wintory. It was a great honor to be asked to work on this project, and of course I learned a ton from translating the music from Journey into solo piano works. I couldn't be happier with how it they turned out, and can't thank Austin enough for the great opportunity! 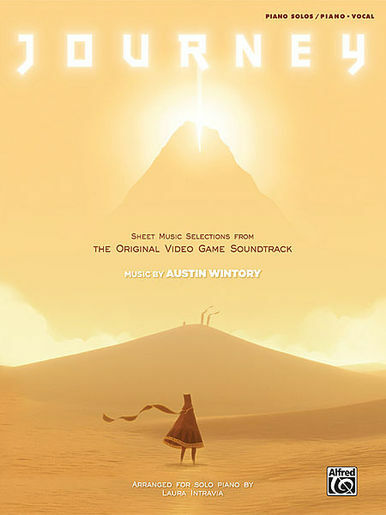 "Composer Austin Wintory's Grammy®-nominated soundtrack to the Sony Playstation video gameJourney opened higher on the Billboard album charts than any previous video game soundtrack. The album subsequently won two British Academy Awards, an Interactive Academy Award, and many more. By popular request, Alfred Music is honored to make this collection of sheet music available to pianists. 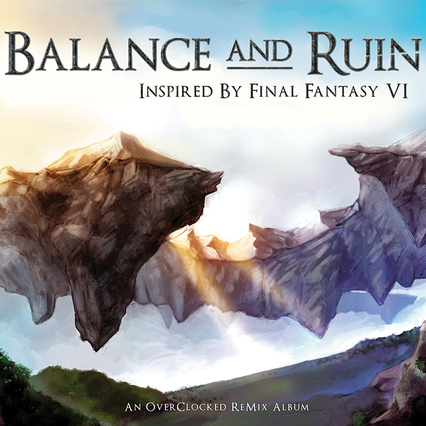 These six arrangements were selected and produced in direct collaboration with composer Austin Wintory to ensure that they effectively capture the original versions. Titles: Nascence, Threshold, The Road of Trials, Final Confluence, Apotheosis, I Was Born for This." Hope you enjoy! Happy playing! And thank you to djpretzel for the incredibly nice write-up on OCRemix itself! Reviews are up for Smoke and Clouds and Katabasis. Holy shnikeys, new transcriptions? And a post in the Blog?! What is this world coming to?! Hope you all enjoy my new article about harmonic motives in the Banjo-Kazooie franchise, as well as the new Transcriptions for Gobi's Valley (Histup) and World Door Open from Banjo-Kazooie, and Going In Circles from Bio-Menace! More on the way! Lots of shows coming up with VGL! I'll be performing with them in Omaha, NE 6/29, Houston, TX 7/5, Chattanooga, TN 7/11, and last but not least, the illustrious Wolftrap Center in Virginia! Super excited for all of these shows, hope everyone can make it out to the show! Tickets as usual at videogameslive.com. See y'all soon! In just a few days, VGL will be coming to Nashville and Raleigh! Looking forward to VGL's first shows ever in both of these cities. Tickets as usual at videogameslive.com. Hope to see y'all there! FOR A LIMITED TIME, the OST will be bundled with the bonus album, so grab this deal while you can! 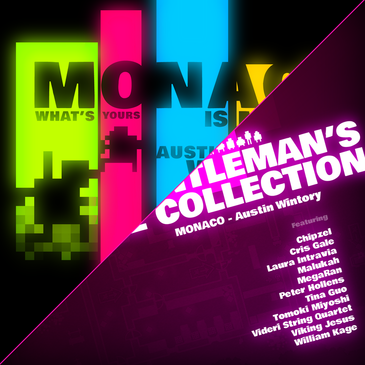 Check out both albums and more of Austin's work at Austin Wintory's Bandcamp. Hope you enjoy, and see y'all in Monaco!! After a few months break, VGL will hit up Hartford, Connecticut this April! It'll be my first time back to the East Coast since my recent move to LA--gotta get used to the coooold weather again! ;-) Tickets as usual at videogameslive.com Hope to see ya there! Hoping everyone's 2013 is off to a great start! I'll be on the road for 4 more VGL shows this week, in Richardson, TX, Lafayette, LA and Jacksonville and St. Petersburg in Florida. As always, ticket information can be found at videogameslive.com. Hope to see y'all there! Happy New Year! Kicking off 2013 with a big show in Austin, TX with the Austin Symphony! Special guests include Austin Wintory and Neal Acree, conducting segments from Journey and WOW respectively. As usual, tickets at videogameslive.com. Hope to see you all there!